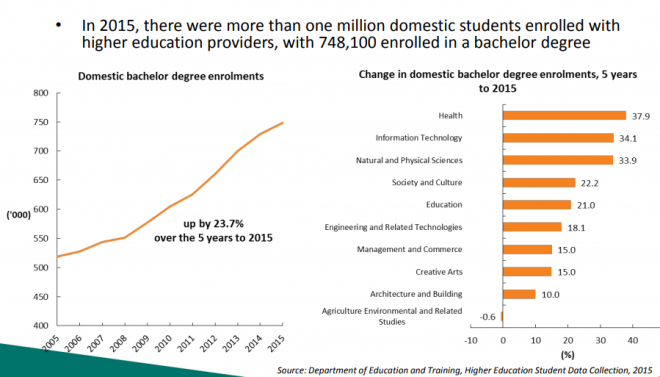 As shown above, most of these enrollments were in private colleges, which have been gripped by scandal. 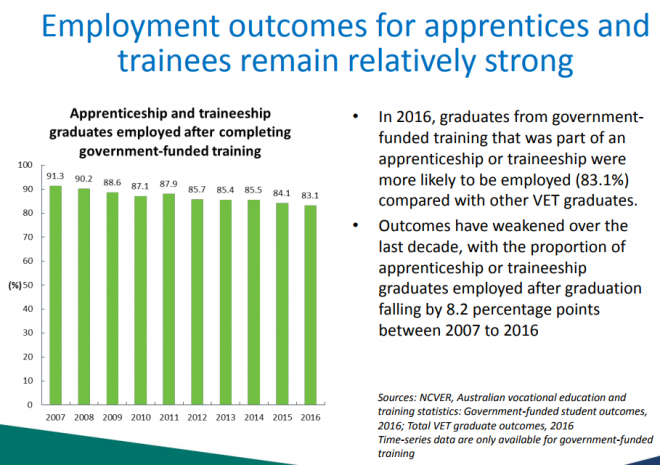 In 2015 the federal government did introduce a number of reforms to the VET loan system. 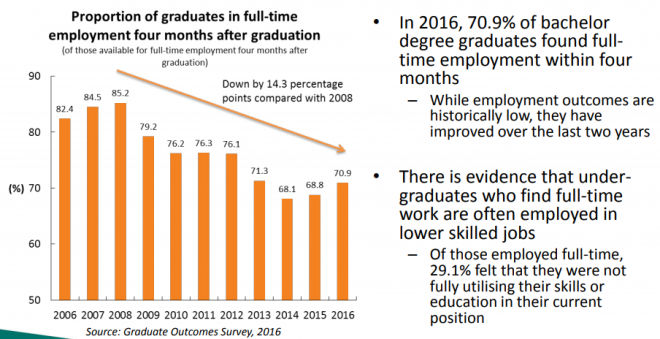 The reforms were designed to curb unsustainable growth and address unscrupulous behaviour, and resulted in the total amount of loans for 2016 almost halving, decreasing by more than $1.4 billion compared to 2015, from $2.92 billion to $1.47 billion. 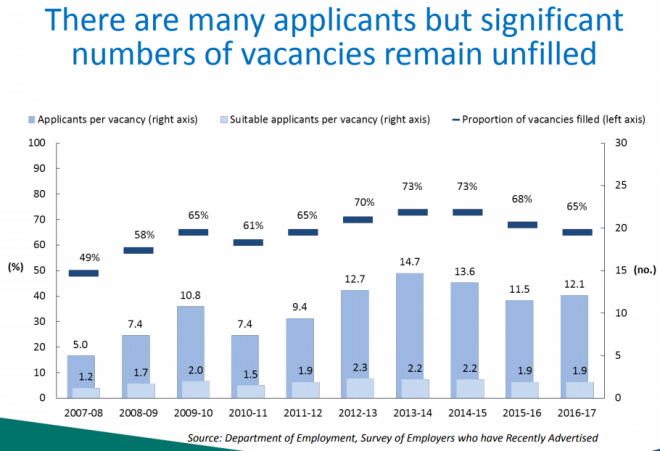 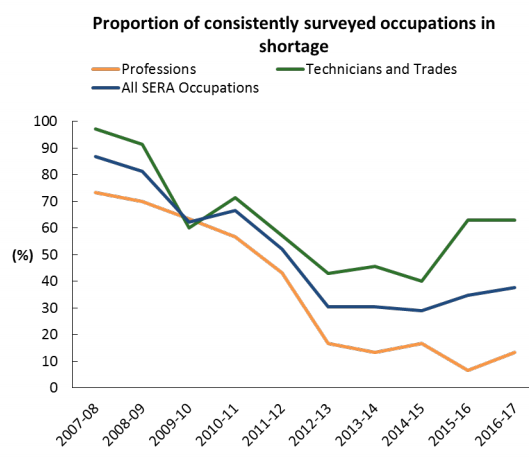 Overall, it is hard to take the BCA’s ‘cry wolf’ claim that Australia is facing another round of “crippling skills shortages” seriously, especially when Australia’s labour underutilisation remains at elevated levels and wages growth is stuck near historical lows. 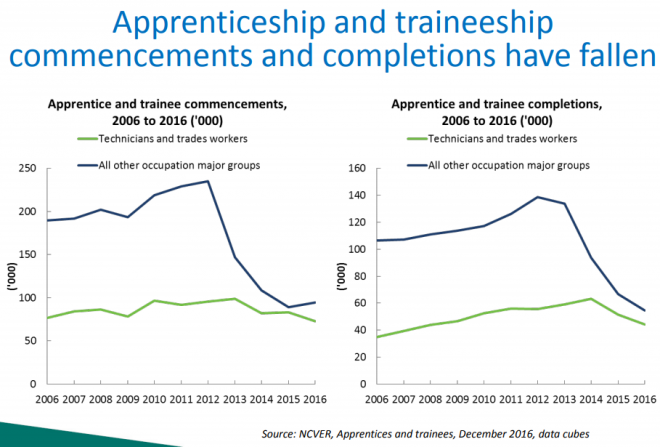 It seems the BCA is not just lobbying the government for more employment training subsidies (rather than businesses training staff on-the-job, like they used to), but is also softening-up the government to further relax rules around importing foreign workers.